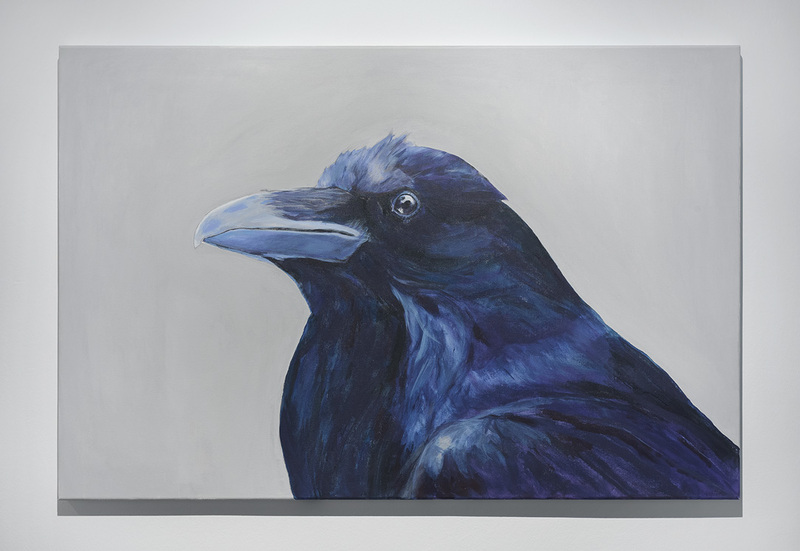 Raven Portraits, 2018 refers to the portrait tradition in the history of painting and deals with the human-nature relation. Portrait as a genre functions to separate one individual among the others and makes this specific individual important, relevant and visible as a unique persona. Anthropocentric thinking prevents us to see animals as person(s). 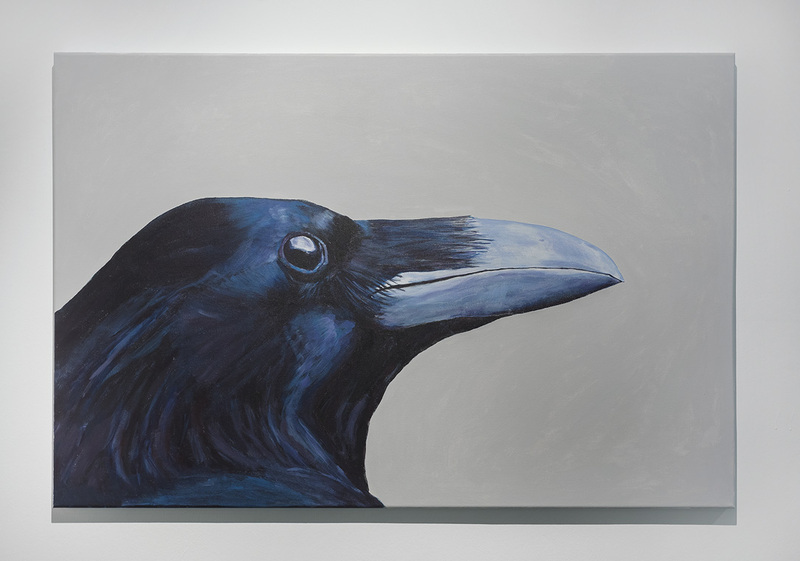 The paintings are appropriated from photos by Jana Mueller.